Pokemon Go is sweeping the globe, if you haven’t heard of it you aren’t paying attention. It’s fun for sure but also poses a risk for users many are not aware of. I’m sure by now you’ve seen them walking around. People with their eyes glued to their phone, walking randomly around town not paying attention to what they are doing. And no, I don’t mean the average person whose life is driven by modern technology, I’m talking about players of Pokemon Go and if you haven’t heard of it yet you just haven’t been paying attention. It was released in early July, 2016 and became one of the most downloaded games ever, with more users than established websites like Snap Chat, Tinder and even Twitter. The game is fun, it gets people out and about and has captured a vast following. The down side is that along with a fun, Pokemon Go has brought risk to its players. What exactly is Pokemon Go? It is the first augmented reality game for mobile devices. Augmented reality is a blend of virtual and real time, the game is projected onto the real world through your phone using the video camera and GPS system. Pokemon are cartoon creatures with magic powers, wild Pokemon can be caught and used for battle. Players seek and find Pokemon, train and upgrade them and then use them to fight each other in order to gain prestige and higher levels of power. The name itself is a contraction of the words pocket and monster. The original game was made for the Nintendo Gameboy and was a wild success. Since the original release the franchise has expanded to become the number 2 ranked video game franchise after Nintendo’s Mario. The premise of the game is simple, Pokemon are fictional characters with super powers that can be collected like butterflies and insects with two goals in mind. The first is to collect all available Pokemon, completing the Pokedex, there are over 700 different ones so completing the Pokedex is quite challenging. The second is to use a team of Pokemon to fight with other Trainers, working your way up the chain until becoming champion. To play users first download the game and create an avatar. 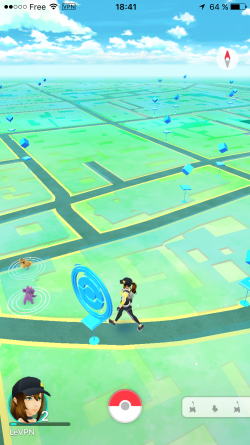 The avatar is shown with a map of the players surroundings that uses your devices GPS and GoogleMaps data to show where available Pokemon, Pokestops and Gyms are located. Pokestops are where trainers can acquire tools and supplies for capturing and training the Pokemon like PokeBalls. PokeBalls are the tools with which a trainer catches wild Pokemon and are important to advancing in experience. Gyms are places where trainers can battle their Pokemon against other trainers teams to gain points and level up. Pokestops and Gyms are usually located near popular areas, the Pokemon themselves are typically found near areas similar to their type such as water, fire or earth. 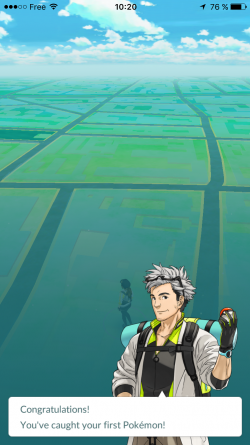 Players travel through the real world, often going for 5 or 10 kilometers in order to hit milestones within the game, and interact with the Pokestops and Gyms or capture Pokemon as they encounter them along the way. People who collect and train Pokemon are called Trainers. Pokemon are caught using a Pokeball and fall under the influence of the trainer, they will do whatever the trainer asks them to, so long as they respect the trainer. The Pokemon can be trained to fight, do battle and level up at a place called a Gym. Battles with other Pokemon, teams and Gyms are non-lethal. A defeated Pokemon will “faint” and become unusable for a time, a successful Pokemon will gain experience points that lead to leveling up and increased powers. Some forms of Pokemon can also “evolve” into higher level creatures with enhanced powers. Downloading the game is easy, iOS users can get the game from the AppStore. Android users can get theirs from the Google Play store. Those without access to the store version can download through third party websites but there are risks regardless of how you do it. The first and foremost is that the game has led to a host of Pokemon Go hacking risks and those who chose to download from third party websites are at the most vulnerable. The first malware to be reported was targeted at Android users. Called DroidJack, it opens a back door to players’ devices granting hackers full access to information and accounts on the phone, and more are expected to follow. Another major risk that arose right from the start is the iOS/Google issue where the game had full access to players’ devices. Two fixes emerged but neither was good for players of phone security. The first was to go into the Google account permissions page and remove Pokemon Go from access, a move that may cause the loss of a player’s game data. The second was to use a burner account, a major hassle just to play a game and no guarantee other forms of dangerous malware would be avoided. Google at least is working on their end of the issue but who’s to say other breaches of privacy aren’t present with this or another mobile app? An even more pressing problem for Pokemon Go players around the world is the widespread use of mirror-games. 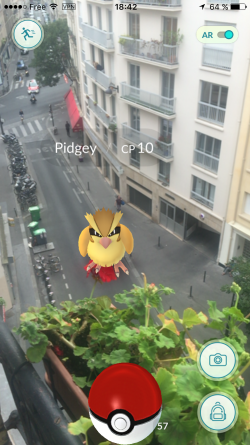 Since Pokemon Go is not available in every country at the same time, and some countries are likely to never get it, many games have emerged which mimic the play. These mirror-games may host malware and are a high risk target for black hats with malware looking for a way into your account. Loss of data is only one concern, security is another. A much bigger problem exists if hackers gain access to bank accounts or credit cards, an even bigger if they use your phone to geo-locate you. Muggers in O’Fallon, MI have already used a beacon within the game to lure in victims in order to break into cars and other mayhem. More advanced criminals could do much worse. Experts agree, mobile apps are high risk targets for hackers and Pokemon Go is high on the list of apps targeted by top hackers. VPNs, virtual private networks, can solve many of the problems presented by hacking, malware and other potential hazards. Providers like Le VPN offer point-to-point solutions for Android and iOS mobile devices that will create a highly encrypted data tunnel originating at your device and secure all the way to its destination. This ensures that no outside influences can send malware or extract information from your device and covers all activity from your device, not just playing Pokemon Go. Risk of geo-targeting is also reduced, Le VPN can route your data through any of over 114 countries masking your true location. Residents of countries without a Pokemon Go release, or where the Internet is censored will find using a VPN to download Pokemon GO especially useful. Not only will it allow them to bypass censors or geo-restrictions and access the Internet through their phone, it will provide a safe and secure connection which will ensure privacy and security. Using a VPN to unblock Pokemon Go in the countries where it hasn’t launched yet is another great tip, and Le VPN service with access points in over 100 countries is a great tool for that. Regardless the motive, there are clear reasons why using a VPN is the best way to download Pokemon Go, so why wait? The first trick is a simple time saver and one that will separate the serious players from the recreational, swiping. The game comes with a variety of features including lists of items your avatar owns, a Pokedex of all the creatures you’ve ever caught and even a Pokeshop where you can buy items with real money to help train Pokemon. To find all these things you can click on the Pokeball icon on the bottom of the main screen and then navigate through a menu to where you want to go… or you can swipe the ball for instant access. 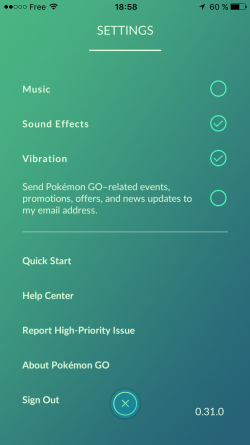 A swipe to the left will bring up the menu, a swipe to the right the list of items you already have a swipe up to take you directly to the PokeShop. Whenever you encounter a wild Pokemon it will be surrounded by a ring or cloud. This cloud will indicate how or why the Pokemon appears where it is and may affect how you want to proceed with your gaming. A white ring means the creature appeared normally, no big deal there. A pinkish ring means someone else has lured the Pokemon there so you can be sure another player is nearby, if you are concerned for safety they are good to avoid. A pinkish cloud means that YOU lured it there with an incense item. If you are playing with a group of friends or in a high-traffic Pokemon area you might not want to shout out, I found one, and start a mad rush to catch it. Get out of the way. When you are faced with a wild Pokemon and about to do battle tap the Pokemon to start the fight, and the step out of the way. This will set the creature up to aim its power in the wrong direction and give you an edge in the battle. At the same time, when battling in a Gym the screen will flash yellow just before each attack. This is your signal to dodge the blow by swiping the screen left or right. Attacks from defending Pokemon will come 1.5 seconds apart so it is possible to time a dodge-attack pattern to maximize the damage you inflict and minimize the damage you incur. Using curve balls to catch Pokemon will up your experience points, lead to quicker level-ups and may even make catching the creature easier. To throw a curve ball tap and hold the Pokeball, then use your other finger to spin the ball and then toss it at the Pokemon. Optimize your training. While on the trail of Pokemon you are likely to encounter the same type of creature more than once. If you have more than one of a type the best thing to do is to keep the one with the highest CP or combat power, these are your strongest Pokemon and will take less of your resources to power up. You can then trade the others of that type to Professor Willow, another character in the game, for candies. Candies are used to evolve your Pokemon from their basic form to more advanced and stronger forms. When it comes to building your own experience, level and strength evolving Pokemon should be focused on first, powering them up second. When your trainer level goes up so too does the max CP of your Pokemon. All Pokemon of a type have a max CP that is tied to your trainer level. If you want to find and catch stronger Pokemon raising your trainer level is the way to go. Evolving a Pokemon can also raise current and max CP but it will not affect their level of training. Pokemon eggs are ways you can acquire new creatures without having to battle or catch them. To hatch eggs usually means having to walk. The lowest level eggs are 2KM, you have to walk 2 kilometers to hatch them, the highest are 10KM eggs, you have to walk 10KM to hatch. To hatch them faster you can use the Infinite Incubator that comes with each avatar, or special limited use incubators that are given out as rewards for leveling up and other tasks. It’s also best to hatch eggs as soon as you can after finding them because the CP of the little baby Pokemon is tied to your level at the time you find them, not when they hatch. If you collect a bunch of eggs, hold them for a while and then hatch them you will find yourself with a lot of low level low CP Pokemon. Use coins wisely. Pokemon coins are currency used in the game to buy items from the Pokestore. Coins can be bought with real money but you don’t have to do it this way. Once you reach level 5 and are able to join one of the teams and battle for control of a Gym you can get them for free. If the gym is held by an opposing team defeating their Pokemon and leaving one of yours in control will deliver free coins to you on a daily basis. The number will depend on your trainer level. If the Gym is held by your team you can use it to train your Pokemon and increase the Gyms prestige level so you can leave one of your creatures behind to help defend against future attacks. Coins should only be used to buy items that can’t be found at a regular Pokestop such as Lures, Pokemon Candies (for evolving the Pokemon) and Incense. The Pokestop is an important place for all trainers to visit. Aside from the 50 XP you get each time you visit the stop is a source for equipment and tools for catching and training your Pokemon. Pokeballs are the most common item to find at a stop but not the only one. From time to time you will find Pokemon eggs there, also things like Revive Potions, Razz Berries and Super Balls which help you catch higher level creatures. The best thing about a Pokestop is that it can be used over and over again. Once used it takes about 5 minutes for it to refresh, all you have to do is enter it again. Those that live or work near a Pokestop can take advantage of it every time they pass by. 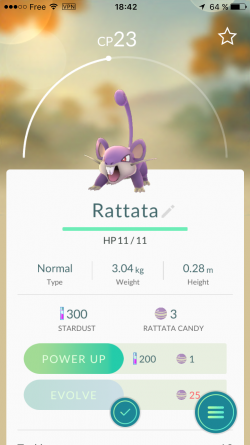 It goes without saying that Pokemon Go will use up your phones battery and a lot of data. The thing is, unlike games you can play in your house with the phone plugged into the wall Pokemon Go requires you to walk outside, often far away from available power sources and WiFi connections. This means that managing your phones power and data is of utmost importance, you don’t want to lose out on a super rare Pokemon, or an important phone call/email, because you ran out of battery life. You definitely don’t want to get a surprise charge from your phone company for data coverages, that money will be better spent on PokeCoins. This first tip is just good for any mobile user. Close your back ground apps. Some apps run continuously even while you aren’t using them, apps you’ve opened and are no longer using will stay open as well, and will draw power from your battery until turned off. When out on a Pokemon hunt be sure to close all apps you’ve used recently and any that automatically run in the back ground, unless you need them on. Dimming your screen is another easy way to cut down on battery usage. It only makes sense, the brighter your screen the more power it is drawing. Another good method to cut down on power usage is to turn down the volume of your device. The higher the volume the more power it takes. Go a step further and actually disable the music and sound effects of the game for increased power savings. Use the “battery saver mode”. This is a special setting within the game that can cut down on power usage if used properly. What it does is put the game in a kind of hibernation, only when your phone is held upside down though, that reduces power use. 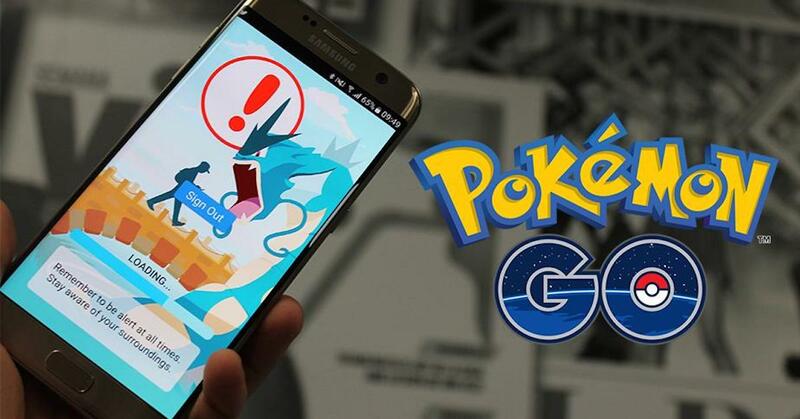 The game will display a dimmed version of the Pokemon logo on a black screen but will still track your GPS to count KM’s walked and your location in relation to wild Pokemon, PokeStops and Gyms. Whenever you get close to one the phone will vibrate to give you a signal. I think it goes without saying the Pokemon Go is a big success. The combination of cutting edge technology, group interaction and an outdoor element have combined to form what is sure to be only the first game of its type. Following these tips are only one way to ensure you have a good time and if you only follow one of them using a VPN to download the game is the top choice. Mobile apps are useful and fun, but they also provide an entry for hackers and malware that can be avoided. If you think you want to play Pokemon Go, or even if you think you might need to download any kind of app, why wait? Get Le VPN now.